Wow. Wow. OMG Wow! I did it! This morning I was a touch apprehensive. Why the blinkety blink was I getting up early, heading out into the cold with the intention of launching myself over the edge of a wall 100ft from the ground? I think perhaps I was more worried than I thought… I managed to get off the train at Clapham Junction, a stop too early! I could see Battersea Power Station from the platform as I waited for the next train… today instead of looking majestic, the towers looked exceptionally tall and imposing. Although there’s a little bit of a November chill in the air, the light is beautiful and the sky an azure blue. If we were dressed in T-shirts and shorts you might actually believe it was summer! My lovely Godmother was there and was able to keep my mind off what I was about to do whilst I registered, swapped trainers for ‘sensible boots’, reflective jacket, hard hat and got strapped into a harness. 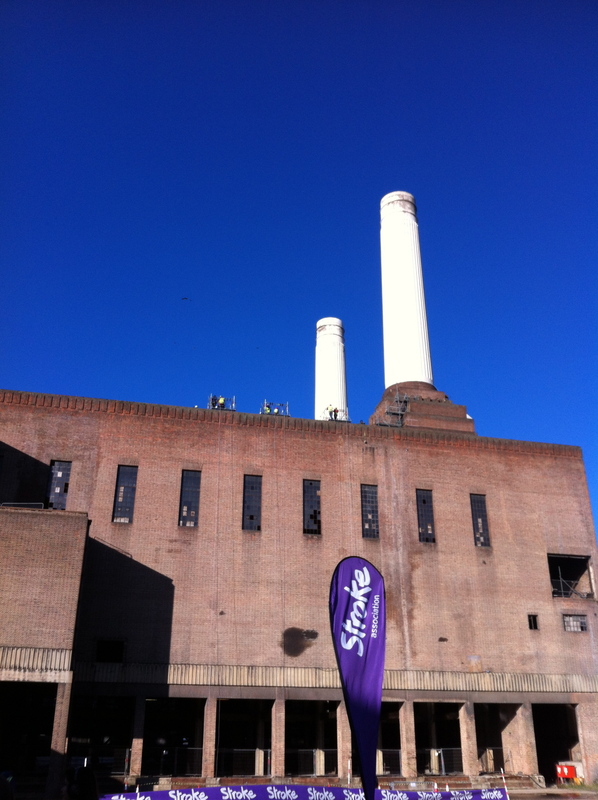 A group of 8 anxious abseilers followed a Stroke Association volunteer into the Power Station. From the outside of the building, although we know it’s crumbling, I sort of believed there was still a belly to the building but what we saw was a void, fallen pieces of masonry, trenches of mud and debris. And a lot of light… there’s not much by way of a roof or top to it. 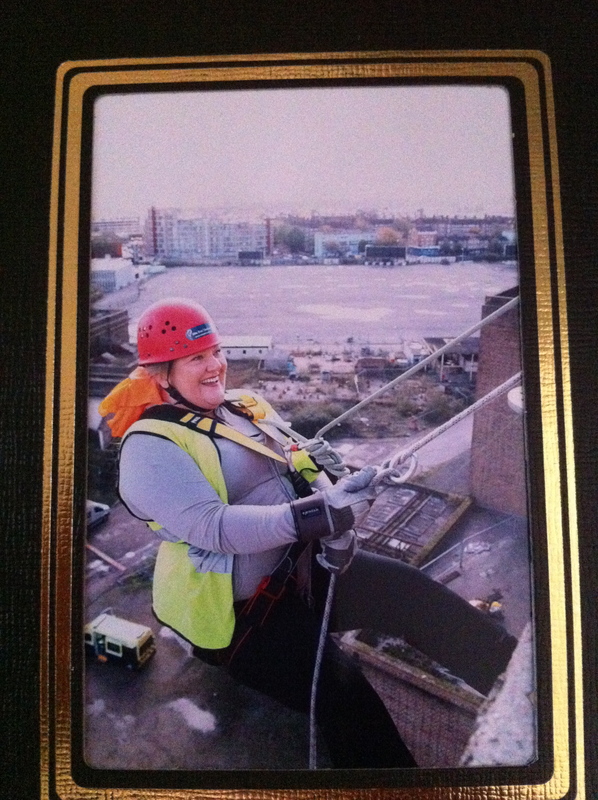 One of my fellow abseilers bought her camera with her and I’m hoping to be emailed pictures of the inside of the building, so will update this when/if I receive them. I’ve said before how I love this building and I truly truly hope that the new owners will be able to restore some of the building whilst finding and developing a new use and love for the site. My carabiners were clipped on to some very thin looking ropes… one that was mine to pass through my hands in order to lower myself ‘gracefully’ to the ground. The second was secured to my lovely Mile End man. After reassuring me that I’d be OK, he told me to step back! I think it was at that point that my fear really kicked in. Both feet were precariously balanced on the edge. A wide stance but I was firmly staying on the top of the Power Station… I remember saying “I can’t do this”… I remember repeating it again. Then in a split second decision I remembered why I was doing it. I wasn’t doing it for me. Well OK may be a little bit – after all I hate heights. I was thinking of all the amazingly generous people who have sponsored me. Supported me. Encouraged me. Laughed at me. I was thinking about all of you who have facebooked, messaged, texted, tweeted and called me to support me today and since I signed up for this stupidity! I was also thinking about the incredible sum of over £600 that has been donated by you all. I was thinking about how that money will be spent and the people who will benefit. And I went over the edge…. Then it was fun. 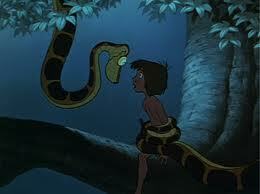 It didn’t occur to me then that I was only attached by a thin rope nor that the ground was quite a distance below. I loved it. I did a few Tigger bounces (much to the admiration of “Look into my eyes” at the top, who shouted down to congratulate me on my technique! And the ‘official’ picture… forget me in the foreground… check out how far down the ambulance is!!! Hey all I did was get up early (struggle), head out into the cold (struggle), look into a man’s eyes (weird), step off the top of a wall (crazy), bounce on the end of a rope (no comment) and then remember to breathe when my feet were back on terra firma. What you all did was support me, encourage me, donate your hard earned cash, the kids raided piggy banks and more importantly you believed that I could do it and that the cause I was doing it for was worth digging deep. Thank you from all the people affected by a stroke that your money will help. 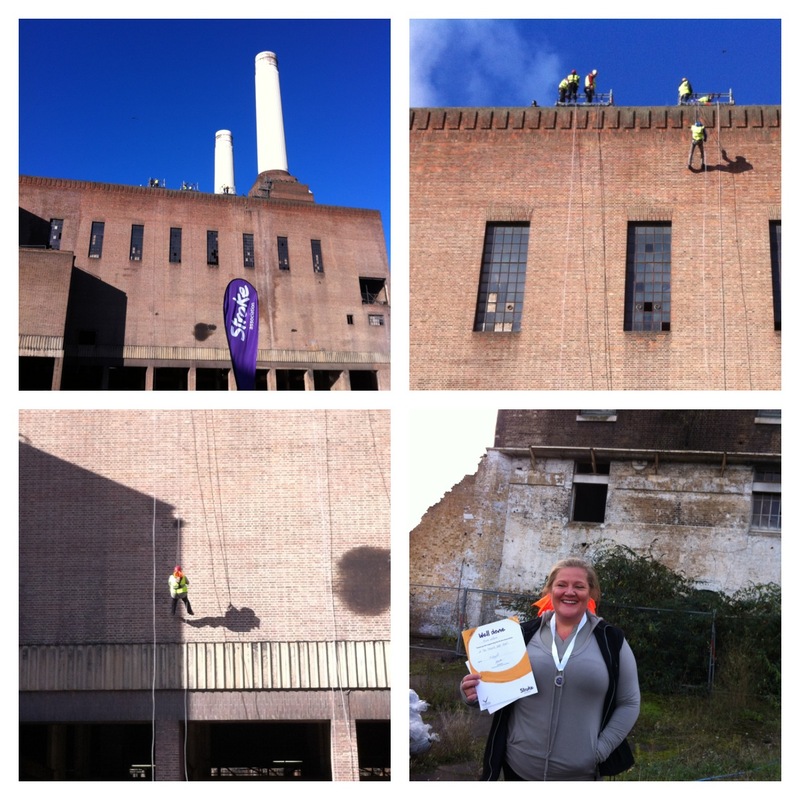 This entry was posted in Living, Volunteering and tagged Abseil, Bucket List, Volunteering by AnnaGoAnna. Bookmark the permalink.